If your child struggles with high-functioning autism spectrum disorder or other neurodevelopmental issues, you may worry if your son or daughter can develop meaningful relationships and learn life skills to live independently. In addition, many children with these challenges have low-self esteem and feel isolated from others in their peer group. New Focus Academy helps students gain the skills necessary for greater independence and success. Students engage in educational, experiential, vocational, and social training based on their unique abilities and needs. Our clinically sophisticated approach to helping students build independence and emotional resilience provides opportunities for them to grow and thrive. BUILDING REAL SKILLS AND REAL INDEPENDENCE. Learn about how Our Approach helps young men grow. Our program addresses all aspects of the student’s life. 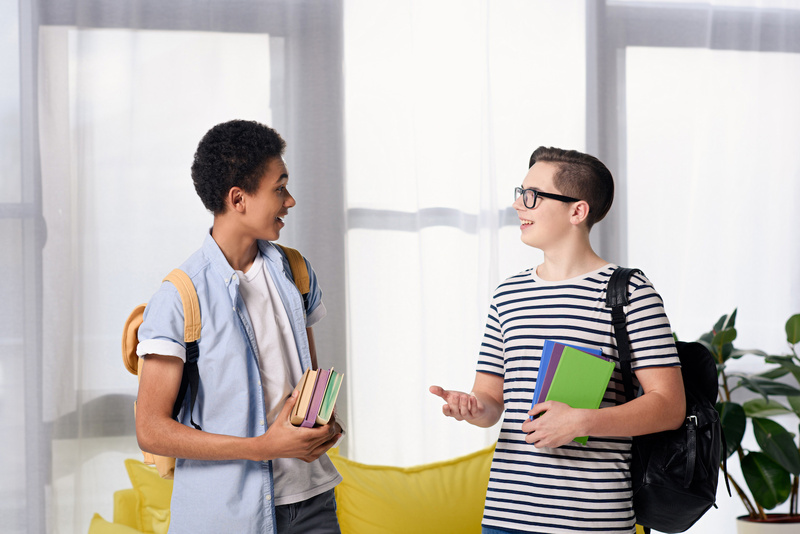 At New Focus Academy, students often come into our program socially isolated from peers and lacking the appropriate skills necessary to develop meaningful relationships. Our program identifies each student’s specific social needs and then creates an individualized plan to teach and practice social skills. Throughout the program, coaches give students real-life examples and positive feedback so the skills they learn are translated to a variety of settings. Through repetitive practice, students generalize the skills and communicate more effectively. Every student has specific goals and objectives to practice with an assigned coach. Objectives are evaluated and refined as the student progresses through the program. As students work towards high school graduation, curriculum participation cultivates new neural pathways increasing learning, problem-solving, and decision-making. Each student’s learning abilities are assessed by experts of neurodevelopmental disorders. Since many students have unique learning needs, the team relies on clinically sophisticated methods and approaches to build individualized plans for each student. Throughout every step of the program, the treatment team collaborates with family members to create challenging, yet attainable goals for students. As goals are reached, students gain the motivation and confidence to succeed. WHY DO PARENTS TURN TO NEW FOCUS? New Focus Academy is more than a residential school. Our approach to treatment helps students develop socially and emotionally while learning valuable life skills. Therapists and coaches provide guidance and positive reinforcement, enabling students to navigate life’s challenges. Using our most recent evidence-based approaches, a team works with students and their families to create an individualized plan for long-term success.